What Is Involved in the Coaching Role for HR Staff? What's Involved in the Coaching Role for HR Professionals? If you’re an experienced Human Resources professional, you probably think coaching is just another name for what you’ve already been doing for years—helping managers and executives increase their capabilities and knowledge in dealing with people. If you feel this way, you are encouraged to think again. The skill of coaching, as coaching is taught and practiced today, has the potential to revolutionize the Human Resources relationship with organization managers and executives. Coaching is providing feedback, usually to executives, senior managers, and managers, about how to reach their personal best in their organizational leadership role. In their capacity as coach, the Human Resources professional will do everything from active listening through providing test results that highlight a manager’s strengths and weaknesses. While a business coach usually works with high potential managers, the HR coach may work with every manager and supervisor at every level in the organization. This is what makes the Human Resources coaching role so challenging. The traditional Human Resources coaching role focused on helping managers address issues and opportunities organizationally. 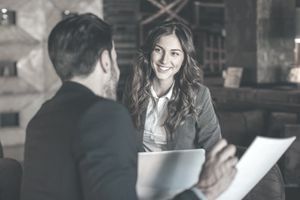 Additionally, talented HR professionals have always provided feedback to managers about the impact of their personal and behavioral style on others. The HR coach is asking an organizational leader to reflect on how she handled a particular situation. The HR coach asks hard questions and provides advice about actions that may have been more effective than the course of action the manager chose. People have different reactions to feedback, and even the most carefully chosen words can create an unexpected negative reaction. Thus, the HR coach practices a blend of politically deft observations with a frankness that will help the manager develop in their capacity to lead people and personally excel. In the coaching role, which HR professionals are urged to pursue, the HR person partners with the manager and focuses specifically on his development. Few internal HR people are working in this new coaching arena. Organizations have most frequently hired external coaches and consultants. They don’t always need to do so if their HR professionals are prepared to take on this new coaching role. In fact, an HR professional is missing a career-enhancing opportunity if she declines to develop these coaching relationships. An executive might feel embarrassed admitting he needs help or worry that the HR person might tell others in the organization. The HR person must be extremely credible with executives. You obtain credibility from how you conduct yourself, from the ideas that you have, and your own political savvy. Don’t expect to coach unless your credentials, reputation, and standing in your organization are impeccable. The person participating in the coaching has to feel that you are looking out for his best interests and maintaining confidentiality at all times. This is the only way in which you can expect managers and executives to seek coaching interaction. One of the most important factors the internal HR person brings to the coaching role is her knowledge of the organization and the impact of the manager on that environment. This is one of the reasons HR coaches fail to attract internal clients for these new relationships. Beyond the issue of complete confidentiality, the coaching assistance she is providing to the executive must contribute more than organizational feedback to help the executive further develop his potential. Human Resources coaches must be knowledgeable about surveys and other feedback instruments to provide impartial feedback to the manager. Coaching often takes the place of training for individuals who are advanced in their careers. So, the HR professional must be well versed in management and behavioral theory and practices. She must know about and have access to a variety of resources for the executive as well. Goal setting strategies, follow-up, organization, and highly advanced communication skills are necessary for the HR coach to succeed at coaching executives. As a larger organizational issue, the HR manager can serve as a resource to coordinate and unify the process of coaching. She can monitor the expenditure of resources, check out the credentials of external coaches and assist with the measurement and determination of coaching results. She can also attach the concept of coaching to help leaders understand the importance of sponsoring and mentoring employees to increase the organization's knowledge and capability.